Nano-technology is enabling breakthroughs in a number of scientific fields at an unimaginably small scale. Consider that the basic unit of measurement for nano-particles is 40,000 times smaller than the width of the average human hair. 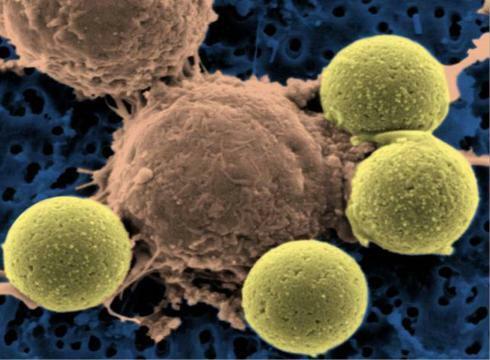 Recently, researchers at MIT and Brigham and Women’s Hospital developed a nano-particle capable of infiltrating the human immune system and delivering a targeted dose of powerful antibiotics. Aleks Radovic-Moreno is lead author of a paper published in the journal ACS Nano that describes the work of these real life researchers, and as he explained to NHPR’s Brady Carlson, nano-particle antibiotics could be put to use against a growing medical threat.